Posted on October 23, 2018 October 22, 2018 by Marlene Hoenig - You are one of God's Treasures! I was traveling along a winding country rode and came across a semi-truck that had missed a curve and run head on into a farmer’s field. The wheels of the cab of the truck was buried in soft sand and he was stuck. I stopped and asked the driver who was sitting on the back of the container if he was ok? He said, yes. He had a cooler with water and some snacks. We were in the middle of nowhere, but he did have a cell phone and told me a wrecker was on the way. I felt like he was Semi-Safe! We can all get going too fast sometimes especially when we are carrying a heavy load. We feel certain we can make the curve, but the load continues in the direction it is going if we don’t slow down enough for some of the unanticipated curves. Keeping watch for the signs and listening to God’s voice is so important! or simply try to carry too much! or don’t recognize the enemy who is pretty slick sometimes! This brings me to the message from the Lord I’ve written out in the blog below: Please feel free to share your comments about what the Lord is speaking to you in this hour and to share my blog or newsletter with others who are feeling hopeless or discouraged. The Seating Chart Has Changed! Posted on July 27, 2018 by Marlene Hoenig - You are one of God's Treasures! “There is neither Jew nor Gentile, neither slave nor free, nor is there male or female, for you are all one in Christ Jesus.” Galatians 3:28 Historian Thomas Cahill says that this scripture was the first statement of egalitarianism in human literature. Over two thousand years ago a man named Jesus changed the seating charts forever! It doesn’t matter where you were born, if you have royal blood, work on a plantation, or own many towers. “In the ancient world, slavery was universal. Unlike later slavery in America (England*), it had virtually nothing to do with one’s race. It could happen to anyone — and often did. Although conditions varied somewhat, slaves generally had little dignity or worth. A slave was non habens personam before Roman law, literally “not having a person” or even “not having a face.” Roman masters literally held the power of life and death over slaves. The slaves had no court of appeal. The slaves’ pain was so lightly regarded that when they were called to testiy, torture could be applied as a matter of course. Beathings and kickings were usually not given to free children precisely because such forms of punishment were reserved for slaves. On my recent return from China, I met a man from Bangladesh that I wrote about in one of my newsletters. He has family, I’m not certain what city. The article below is what is happening in Bangladesh. Nicaragua Needs Our Prayers Too! There is no reason to fear if we hold fast to the ONE whom has rescued our souls. We can rejoice knowing that Jesus has overcome the world and all of the evil doers and powers who oppose Him. Because of Jesus, God has changed the seating charts in the heavenlies. Please continue to pray for the people of Rohingya, Nicaragua, China, the U.S. and especially those whom are called to the harvest fields in these places. We must hold fast to pray against Satan and his reign of terror and evil in this hour. Please also pray that I will be able to raise the support needed for me to be able to open up the Joy Recovery Home. Please write or message me to learn more! Posted on July 22, 2018 by Marlene Hoenig - You are one of God's Treasures! The photo above is a tomato that has been sitting out on the counter for at minimum 3+ weeks.. I don’t know how long it was in the store… Fresh Produce?? Nutritious?? Rotten Tomato or Not?? Just saying??? When I was growing up my folks made me pick through tomatoes daily because they would begin to rot so fast. They would keep boxes of green and ripening tomatoes in a cooler set at a special temperature to keep them from going bad. Vine ripe tomatoes are special in the fact that they are picked off the vine when they are ripe. They should never be put through any wash or gasing to preserve them because this process will tear them up and with all of the talk today about healthy eating and what gasing and preservatives do to our bodies, I try to only buy fresh fruit and produce that have been spared this process. So it is with our spiritual life. Not everything or everyone that looks good on the outside means they are healthy or nutritious on the inside. Many times I’m so tempted to only let others see the “pretty” side of me and would be horrified to let some of the hidden secrets that are on my inside be revealed or digested by others. At times like this I retreat, isolate or just wind up sitting on a shelf or counter kind’ve like the tomato. But, as a Christian I know God will help me using circumstances or others sort through my rotteness. If I am willing to allow Him to set me free, He delivers me from the pain and effects that these hidden sins have on me, and gently washes me. God is always faithful to help me ripen and mature just like those vine ripe tomatoes that I love so much! Posted on July 14, 2018 July 11, 2018 by Marlene Hoenig - You are one of God's Treasures! This reminds me of helping others during crisis and trauma care. We can provide a fence, a safe place, a listening ear and loving heart. When they have been fed, rested, and are ready, they are able to jump back over the fence and face life out in the world. Many times I’ve had to wait patiently for the Lord to lead or guide me to whom He wants me to minister. The toughest part is being willing to listen and wait patiently for God’s assignments. 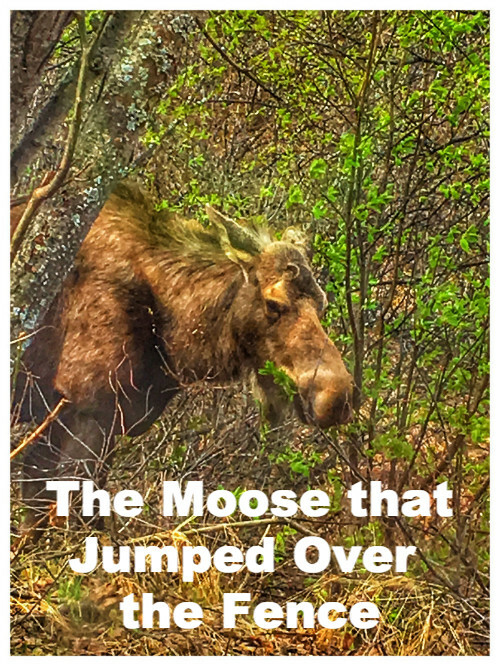 Then, soon as I least expect it I open the door and realize there is a moose in my back yard! interning, or taking a mission trip. Posted on July 10, 2018 July 12, 2018 by Marlene Hoenig - You are one of God's Treasures! FORGIVENESS – A KEY TO HEALING IN ANY CRISIS AND TRAUMA SITUATION – Hear Peter’s Message by Clicking HerePeter Neuberger, his wife Rebekah and children are missionaries from Tanzania. 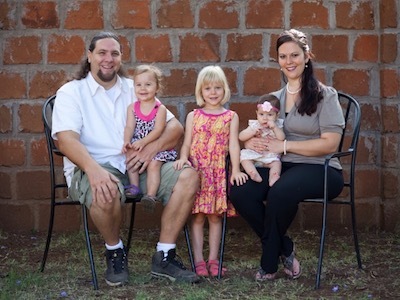 They are home on furlough visiting his wife’s parents who live in the Mat-Su Valley and will be leading a crusade in Kenya. Rebekah is recovering from some health issues. Please keep these precious saints in your prayers. Posted on July 9, 2018 by Marlene Hoenig - You are one of God's Treasures! When I first moved to my apartment complex mid February Geo saw me sitting in the lobby and noticed my smile and the cross on my shirt (he tells me every time.) 😊 He came over and asked me to pray for him. He had a deep infection in his knee. He had both legs over a year ago amputated due to sickness and had only 1 prosthetic leg. In order to get the other prosthetic leg his knee had to heal from the infection. That he had for months. Jesus and I prayed for him and we became buddies. I would bring him breakfast, we talked for hours in the lobby, he would ask me about my relationship with Jesus, I would make him dinner and then about 6 weeks ago I heard he was back in the hospital pretty much on his death bed again. I said, “NO!” We prayed for him. He got out of the hospital and came back home and was all better and the infection left his body! He received his 2’nd prosthetic leg and he showed me this evening how he could get up walk a few steps and back in his wheel chair. 😀 He said let me show off what I can do now, he said it’s not pretty but I can walk. I looked at him with tears and said your right it’s not pretty it’s beautiful! 😍 I told Him I grilled steak for the first time ever and said I had way to much and asked him if he wanted to join me for dinner. He was delighted and as we were sitting outside others joined. Wait, “What you partied, dated the wrong guys you did all that?” Saying it as they were in shock! Next thing Jesus and I are prophesying and praying for the ones that came to the table. I’m not sharing details because I want to be respectful to my new friends. Tears were steaming and Oh! the freedom and chains that were broken off of people this evening. As I looked at my phone it’s almost 11pm. We started dinner at 7pm. The crazy thing is I had plans to deep clean my apartment this evening but when we allow God to lead the way then deep cleaning will come another day this week because Jesus wanted to deep clean the hearts of those that needed a taste of His love. The first time I met Sarah was when I was the Pastor and Director of Communications for Faith Life Now in New Albany, Ohio. Sarah was raising money to fund her trip and school at Heidi Baker’s ministry Iris Global in Mozambique S. Africa. Little did I know how special this Batzion (daughter of Zion) would become to me. Literally the Lord laid her on my heart to pray, support and keep her in my heart especially while she was away. Posted on July 8, 2018 July 10, 2018 by Marlene Hoenig - You are one of God's Treasures! I praise you because I am fearfully and wonderfully made; your works are wonderful, I know that full well. My frame was not hidden from you when I was made in the secret place, when I was woven together in the depths of the earth. The enemy of God, Satan wants you to keep your eyes on the death, destruction and disappointments…. but I say, that God says, He is the ruler of the heavens and He has aborted Satan’s plans for the earth. Father, thank you for your loving kindness, your mercy, your goodness and love. Thank you for creating the earth and me and thank you for placing me in the family line that fulfills the plans and purposes you desire. Please help my children, grandchildren and lineage to come to all fulfill the purposes you have designed for them. I believe that you created everything living, and there is a realm and heavenly home and a new earth that as your daughter I will live and dwell in forever. LORD GOD JEHOVAH, I stand in agreement with your words that you have ordained a plan for each one of us and that if we will hold firm to you, that you are faithful to perfect that plan and purpose which will not only bring you glory but will bring plenty of fruitfulness in our lives. I thank you that you have overcome the enemy and abort his plans, attacks and assignments. I thank you that no weapon formed against us will prosper and great shall be our Shalom and that shall rest on our children and their children to come. I thank you that YOU inside of me is GREATER than the works of the flesh and the enemy that wage warfare against our souls. I bless your Holy name. I plead the precious blood of Yeshua over myself and my family. I ask you to clean my spirit and make me a vessel of honor for you. I pray that I will not fear the enemy and that your joy will be my strength. You surround me with your angels in the heavenlies and I declare this day that I believe and have faith in you alone. There are no other gods that I pray to or form allegiance to. I ask that you would sever all ungodly soul and spiritual ties that would keep me from declaring and walking in your divine power, authority and unconditional love. I pray that you would break off any addictions, judgments, generational curses over me and that the enemy would not have an open door or foot hold in any place in my life. I repent of those things I’ve willingly or unwillingly allowed into my eyegate, eargate or mouthgate that would be a hindrance or open gate for the enemy to come in and have a foot hold to abort your plans and purposes for creating me. You created me independant of the world and it’s resources. I thank you that I am dependant on you for my provision, protection, health and well being. You promise that you will never leave or forsake us or see your children begging for food. I thank you that I have a place to live, eat, rest and pray without ceasing. You are My King and I am your daughter that loves you. I ask that you touch my heart and spirit and open up the capacity to live, laugh and love in a greater way each day. I pray that as the world falls off of me, that your anointing grows and as I walk down the road, ride in my car, enter other’s dwelling places, worship areas, and in the market place that your Shekinah glory would bring salvation, deliverance and healing to those that I touch or look at. Lord, help me to grow in your Word and to understand what I read. I pray that in the evenings when I sleep that you would speak to me through dreams and as I go throughout my day that visions would appear as I am in quiet time and communion with you. Lord, I pray to become a giver and that you would place wealth in my hands that I might bless others. I pray that you would provide and keep me humble in all of my affairs and opportunities to write, speak, pray, intercede and help others. Holy Spirit, I long to know you better and to be sensitive to your voice. I repent for ignoring you or quenching you so many times when I failed to hear your voice and obey. Jesus, I acknowlege that you died for my sins, and you are always making intercession for me in the heavenlies. Your kindness, ability to disciple and love others is beyond my ability, however I do want to be your hands and your feet in this world that you gave your life for. I thank you that you experienced such pain and suffering for me to walk in health and freedom from the sins that so easily come my way and are in my fallen nature. But, you have redeemed me and I am now a new creature ready for each new moment and divine appointment.